Post # 147 American Legion Southbury, CT. 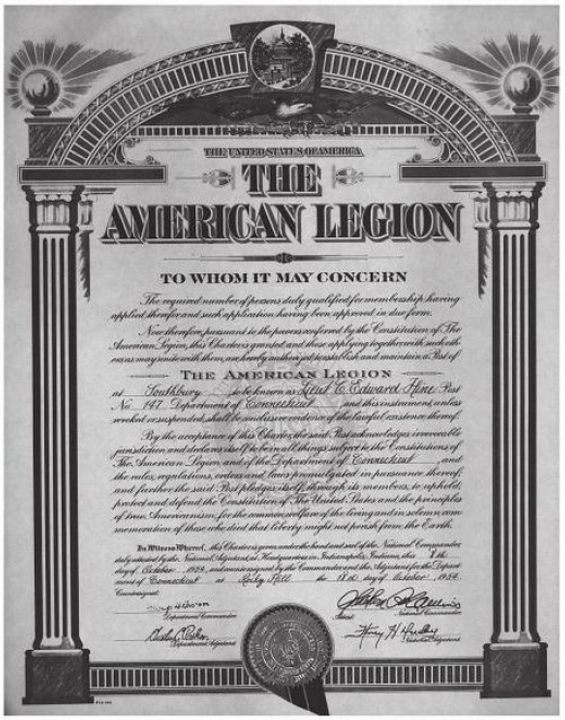 Early in the spring of 1944 a small group of War Veterans were called together at the Southbury Training School to discuss the possibilities of forming a Post of the American Legion. The meeting was attended by about fifteen prospective members. The principal subject discussed at this meeting was to decide if the membership of the proposed post was to be limited to employees of the School or to the town in general. It was finally decided to have the membership open to the town of Southbury and any neighboring towns. George H. Lathrop and N. C. Avery were appointed to contact the Town Clerk’s records to obtain a list of those eligible in the entire town. The list was obtained and it was found to contain about 75 names. Early in the fall the assistance of Milton Coer was obtained and fifteen signatures were obtained on a request for a temporary charter. The signatures were partially from Southbury and part from the School. The signature of Edward Coer, first selectman, headed the list. Many of the names on the list furnished by the Town Clerk were found to have left town. The application was submitted to the Department Headquarters of the American Legion in time for the November meeting of the Executive Committee where it was accepted and laid on the table for one month. On Dec. 7, 1944 at the State Executive Committee Meeting which was held in Litchfield at the Junior Republic the application was acted upon favorably and the temporary charter granted. Then came the task of getting the dues paid and the Post formed. On Feb. 2, 1945 the first meeting was held and a By-laws Committee appointed consisting of E. P. Hicock, F. A. Klauminzer and Warren Hoff. A second meeting was held February 12, 1945 when the By-laws Committee reported and the new by-laws read. At this meeting a nominating committee consisting of Cliff White, Milton Coer and Harry Bauch was appointed. Also at this meeting 16 members had paid their dues indicating that the Post was underway. At this meeting N. C. Avery and George Lathrop were appointed to a committee to arrange for a Public Meeting for Instituting the Post and installing officers. 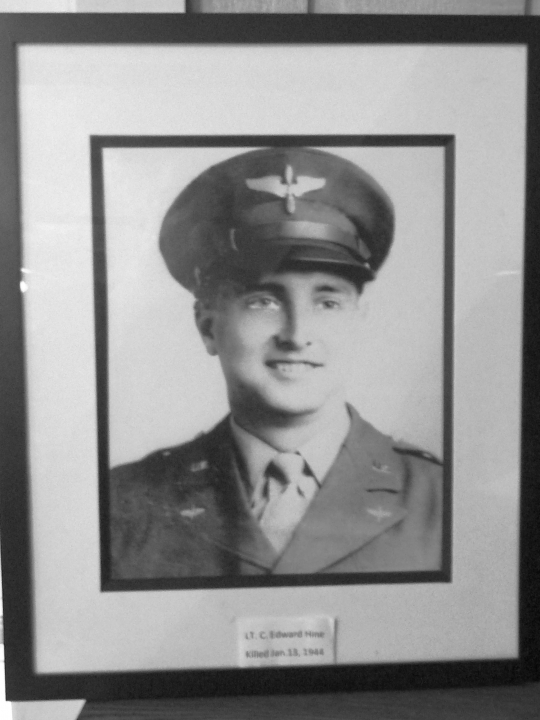 The Post was formally organized and officers were installed at a meeting held in the Community Hall on April 14, 1944. The charter was formally presented by Dept. Vice Commander Wm. A. Eaton of Ansonia. The initiation of all members was conducted by Post Department Commander Arthur Baldwin and a group of members from the Legion Post in Milford. About 150 persons were present, mostly from out of town. Many Southburians missed a good time that night. Guests were present from Waterbury, Naugatuck, Danbury, Seymour, Milford, Ansonia, Watertown, New Haven and elsewhere throughout the second district. On Memorial Day the members of the Post placed flags on graves in four different cemeteries after a fairly successful poppy drive. On Memorial Sunday a fine turnout of members and friends attended Mass at Sacred Heart Church and services at South Britain Congregational Church. Taking the bull by the horns we decided to invite the District Meeting to Southbury for the July Meeting but the invitation was finally accepted for the August meeting. 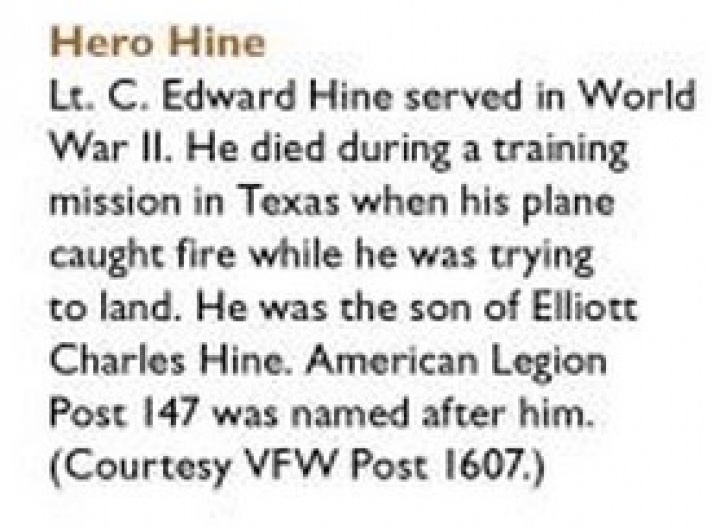 During July the Post was shocked to learn of the death of one of its members, E. Pierce Hicock, Jr. Pierce met his death at the hands of a hit and run driver in Tennessee and the exact details have never been obtained. Members of the Post assisted by the State Guard carried Pierce to his last resting place and buried him with full military honors. August 8, 1945 was the gala day of our first year. That day the regular meeting of the Second District Posts and Auxiliaries was held and we were hosts. With the help of many ladies, boys and girls of the School, we put on a great time. Mr. E. N. Roselle, Superintendent of the Training School spoke to both meetings and welcomed the Legion to Southbury. Many members through the district have told us that it was the finest meeting held this year. Attendance was about 165. Then came the State Convention. Amedee Bernier and Bob Lautenschlager represented us there and we hear that they voted right a couple times. They reported a fine experience and want to go again when they believe that they will really be able to cut a rug with the rest of them. We now come to our first annual meeting when new officers will be elected to guide us through another year. Our activities have been few this year but our organization has prospered and is ready to go on to greater deeds and more activities in the years to come. From Legendary Locals of Southbury by Virginia Palmer-Skok. Published with the permission of the author.